My creative process involves working on several projects all at the same time. So even though I am still working on the Palm bark, I am also working on another bark design, this time from Redwood. 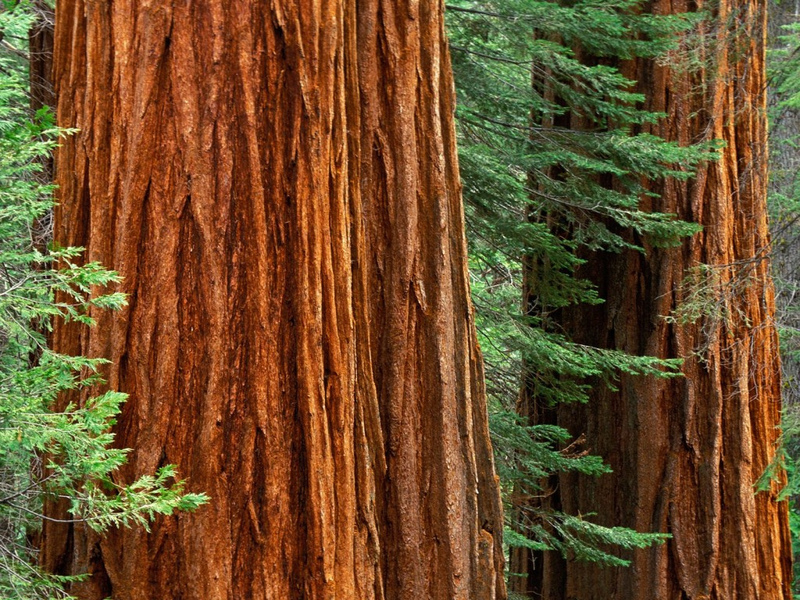 Growing mainly in Northern California, redwood trees are the largest and tallest trees in the world. They can live thousands of years but are endangered from logging, air pollution, and habitat loss. The tallest living tree is a redwood named Hyperion that lives in Northern California; its location kept a secret to help protect it. The redwood’s beautiful orange-red bark changes and shifts in the varying light creating an enigmatically strong yet fragile impression. I wanted to replicate the beautiful subtle texture of redwood so I actually learned a new stitch that I have been meaning to master, the brioche stitch. It is the perfect deep squishy rib that echoes the beautiful red bark. Knit up in Shepherd’s Wool Roasted Pumpkin and adding a few decreases and increases creates a wonderful knitted bark. I am definitely on the right track with this one.